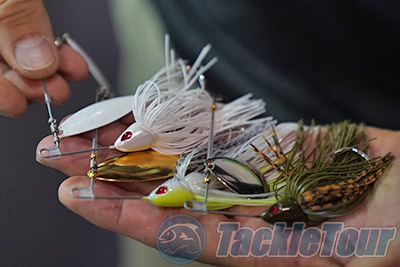 Introduction: I'm sure you already have a favorite spinnerbait, your go to blade, and how can company's really differentiate when it comes to these class of baits? 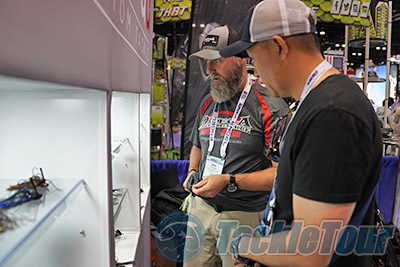 This ICAST Omega, a company that continues to gain a strong following among bass fishing enthusiasts, did exactly that with the introduction of the Genesis Ti spinnerbait. Making it Custom: The Genesis Ti channels history, creating a blade that has a custom look and feel, but with all the modern day features and technology afforded through new materials and production. At the core of this bait is a super strong, flexible, fast-tune titanium wire. This wire was specially tuned for the bait, generating maximum action while holding shape and maintaining durability through violent strikes. The head design of the Genesis is more than the streamline torpedo but rather the concave back section that allows the skirt to flow from the inside of the head outwards to create a more natural flare at all retrieve speeds. There are dual skirt retention bands that enable anglers to run different skirts or secure your favorite trailer, and because the shank is tipped with a double bait keeper it ensures even large trailers will stay in place without the aid of any adhesive. The blade arm makes use of quality blades and the SAMPO swivels keep them rotating even at low speeds. 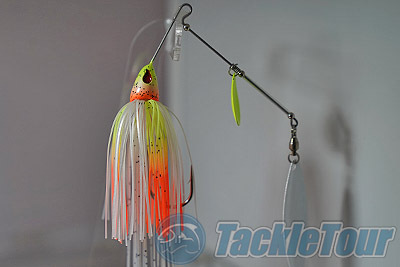 This spinnerbait is all about customization and the bottom blade is attached to the wire using a quick change clevis that allows you to simply twist the blades off for mixing up combinations on the water. The Genesis Ti is armed with a 5/0 ultra-sharp Mustad hook and the bait is offered in both 1/2oz. and 1oz. sizes with three primary color combinations, white, chartreuse, and Hammer (green-bluegill style pattern) and a variety of blade combinations. 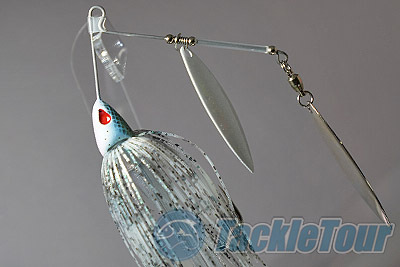 These baits retail for $9.99 each and can be customized to order in the company's site. 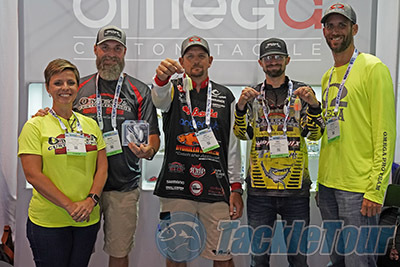 Inline with the custom look and feel of these baits Omega has also partnered with Trey Harpel, one of the best custom lure painters in the industry, to create Special Edition colors/patterns for the Genesis Ti. 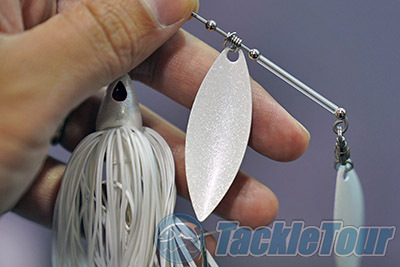 We expect the custom baits to cost a few dollars more and we know quite a few anglers that would be willing to shell out a few more dollars for a truly custom Harpel hand painted bait. The industry has changed a great deal over the last decade with an emphasis on overseas sourcing and mass production to the nth degree. 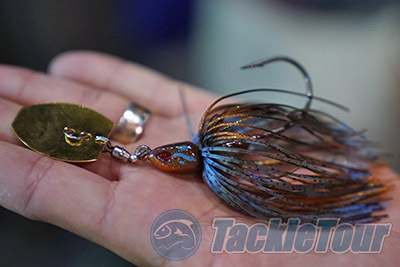 It was nice to see a company like Omega continue to take a hands on approach, and find ways to differentiate a tried and true lure like the spinnerbait and then go the extra mile to offer custom options. There is something still so very attractive about fishing something unique and custom, and for blade fans the Genesis Ti is truly built to order.